Everybody’s favourite virtual idol Hatsune Miku has taken the world by storm since her debut back in 2007. Last year marked the 10th anniversary since the her VOCALOID software was released. Her activity and influence stretches beyond the computer monitor, with the release of her greatest hits album, newly announced overseas performances, and collaborative live performance for the official Tokyo 2020 program. She is growing to become a singer at the face of Cool Japan. A festival for Snow Miku, a character derived from the original Hatsune Miku, has been held every year since 2010 to support the wintry climate of Hokkaido. The SNOW MIKU festival is held alongside the Sapporo Snow Festival and is a location where you can enjoy ice sculpture in Odori Park, get your hands on merchandise and watch the stage events. 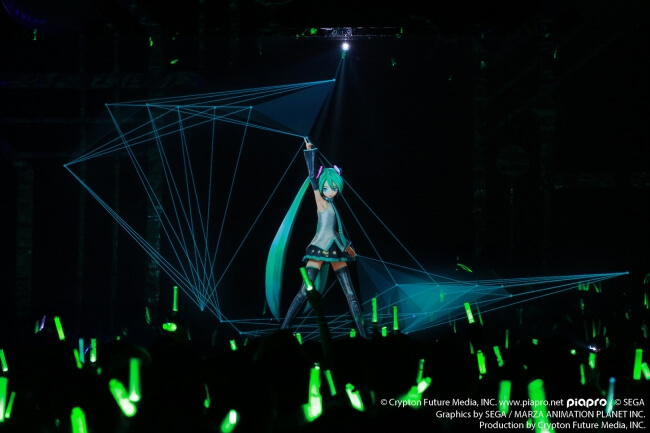 The upcoming live Snow Miku concert, set to be held on February 10th at Zepp Sapporo, will make its way on TV via WOWOW. Tread into the fantastical world of Hatsune Miku in the magical snowy landscape of Sapporo.